Sagging Meniscus Press, 9781944697662, 138pp. Literary Nonfiction. Art. Poetry. Italian Studies. Haunted by three thousand years of artists who made pilgrimage to the Eternal City, collaborators Elizabeth Cooperman and Thomas Walton gather impressions from the ruinous streets in and around Rome. The result is a literary mosaic that aligns itself with the ecstatic baroque of Bernini, the concentrated vision of Caravaggio, and the sublime uncertainty of Keats, as it resists the forces of "another dark age." 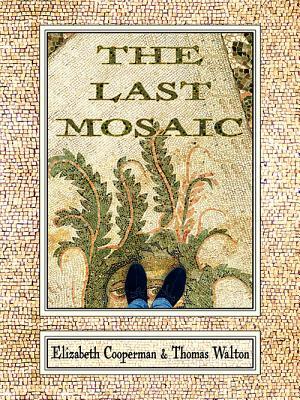 Dazzling with image and anecdote, with comedy and cobblestones, with headless statues and the bright robes of street performers, with shadow and cicada and shock of light, THE LAST MOSAIC is an aesthetic call to arms to "listen," a battle cry to "be impressed," and a plea to "get lost.